It was raining and I was wearing heeled ankle boots. For some reason, my umbrella was leaking heavy, nonrhythmic drops on my head every few feet. I couldn’t see where the drops were coming from because it was dark and I was too busy half-running, half-walking down Broadway. Oh well, wet hair be damned. I had to hurry, because after all, there was a good chance there would be a line for this event, but try as I might, I couldn’t get around all the slow-walking-singing-in-the-rain evening strollers. I tried to stay positive and kept repeating to myself: It should be fine, it’s cold and raining and who’s really going to this show anyway? I mean, really really? I’m sure the rain will keep some people home. It’ll be fine. It’s fine! And then I saw the crowd standing outside of The David Rubenstein Atrium at Lincoln Center, and I stopped walking, mouth agape. The line was wrapped around the block and the performance area was already filled to capacity. “No more room for this show, but you’re welcome to wait for the next show!” screamed the line attendant, who was dripping wet and shivering – no umbrella – like she was aboard the Andrea Gail, screaming for her life. This was serious. More than 300 people were already seated and standing inside for the 7:30 performance, and by the looks of it, at least one million people were waiting in line for the next show. In almost two hours. In the rain. In January. In New York. I sighed, and let my failure walk ahead of me as I walked around the corner, joined the line and tried to avoid raindrops sneaking through my umbrella. 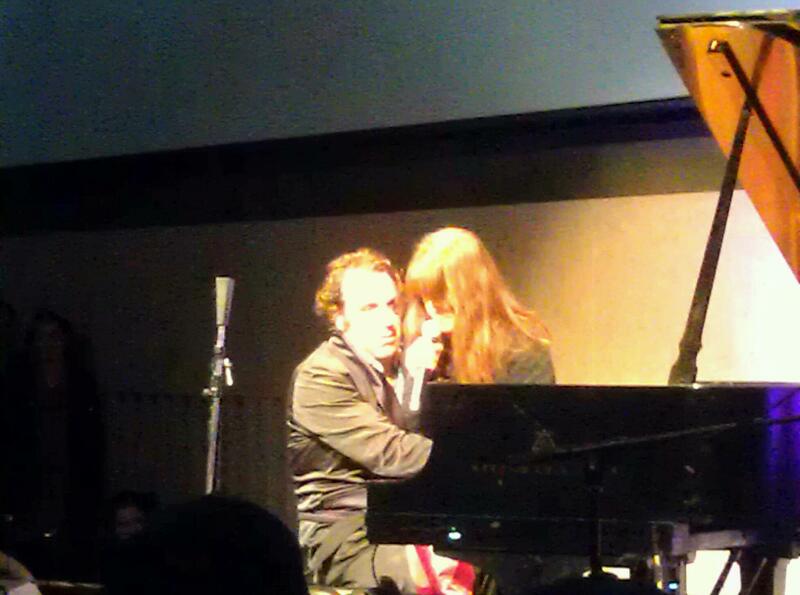 And that’s how my Friday evening with Chilly Gonzales began. The wait was maybe too long, because weaker-than-I folks sporadically left the line to go do something else, something less exciting I’m sure. But I am strong like bull, and my very good friend showed up, so my solo-wait time seemed to disappear and soon enough, we were near the front of the line. It was still raining and cold, but I hardly noticed after a while. And once I was inside, sitting in my seat, my evening improved tenfold. Chilly Gonzales, pianist and composer, who is probably best known for this little ditty you will absolutely recognize, without knowing it’s him, walked on stage at little after 9pm, sat down at his beautiful Steinway wearing a smoking jacket, nay, a silky bathrobe, which added to the intimate setting of the dimly lit, modern space of The David Rubenstein Atrium, and also set the tone for a really fun, unique musical experience dripping with personality. He plays solo, and then with an orchestra, raps to a concerto piece, makes everyone laugh with joy, teaches the audience music theory, gives brief and exciting piano lessons, and that was all before the encore with the talented surprise singing guest, Feist. By the end of his show, every single audience member was dying to play piano. Did I mention this show was free? Yeah, I forgot that. As part of The Atrium’s Target Free Thursdays, this show was originally schedule for early November, but postponed due to Superstorm Sandy and rescheduled for January 11, 2013. It was worth the wait. 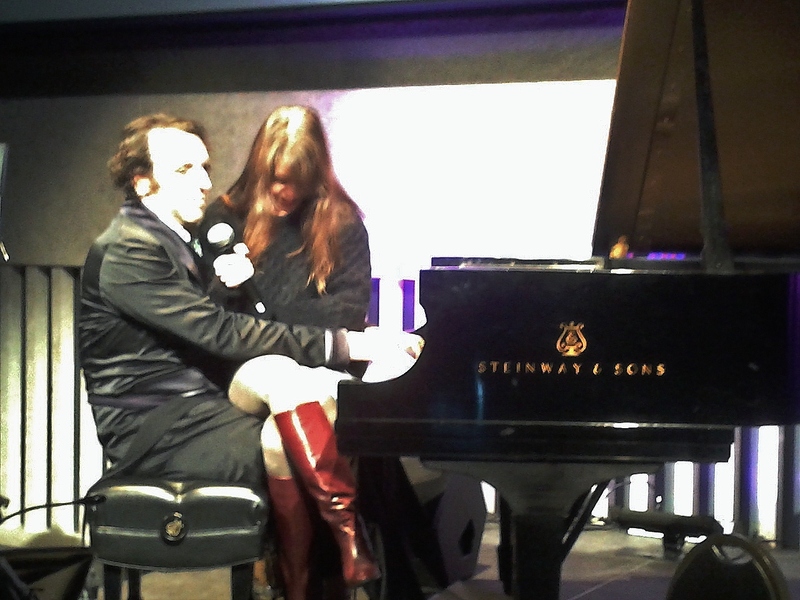 If Chilly Gonzales is playing somewhere near you, even if it’s cold and rainy outside, you should make it your priority to see him.